While it has existed in some form or fashion for a decade, in the last two years Casino Room undertook a major redesign that has served the casino well, ushering them into a deserved spot on the cutting edge of gaming. Taking cues from the video game landscape, Casino Room has added features such as trophies and leaderboards to gamify gambling, adding a unique twist to their offering. While Casino Room's approach may turn out to be commonplace in the future, right now it is a bit of a gamble focused on setting the casino apart. Even without their twist on the online casino experience, however, Casino Room would be noteworthy thanks to slick graphics, extensive play options, intuitive site design, and more. 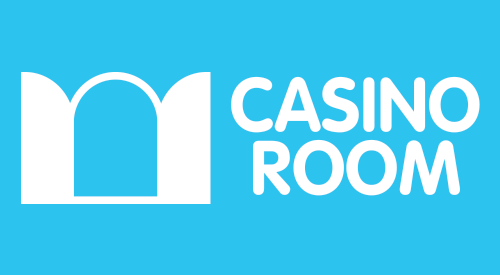 Casino Room's name says it all, as the site pours all of it's efforts - albeit with a unique yet possibly innovative approach - into its casino product (and its mobile and live-dealer companions) while pushing aside expansion into other lucrative online gambling realms like bingo or poker. This heavy concentration on casino gameplay afforded Casino Room the opportunity to produce this one-of-a-kind online casino experience without distraction from other attention grabbing products. Casino Room, as mentioned above, has focused on gameifying the casino experience. They have achieved that by introducing a sci-fi theme that permeates a unique sort of loyalty program where players can "level up" the more they play, allowing them to unlock trophies and win free spins. A constantly updating activity log on the casino's home screen also announces the progress of other users playing on the site. This unique loyalty plan follows suit with Casino Room's goal of blurring the line between gaming and gambling. The loyalty program, although a common trend among top operators, takes a unique approach, one that seems to simulate the "leveling up" gamers have become accustomed to over the years playing regular video games. This is just one of the many examples of Casino Room's subtle push towards a gambling world full of stellar gameplay and a captivating storylines, the basis for all successful video games. Slot games like 4 Seasons and Battlestar Galactica are Casino Room's bread and butter, but that does not mean that their other offerings suffer; live dealer and more traditional casino games like table games are also readily available and easy to find. Conveniently, Casino Room also allows players to try almost all of their games in a 'play for fun' setting so they can get a better feel before playing for real money. Casino Room's unique 'gaming' approach isn't the only feature players are raving about. Casino Room takes note from prominent bingo offerings, integrating a wealth of community-building widgets featured all throughout the site. These include a 'Today's Biggest Wins' widget housing a list of biggest take-homes that day as well as 'Activity Right Now' widget informing players of prominent activity of other users like winnings, level progression, and other interesting info.